Do You Know Why You Are A Mason? Has anyone ever asked you “What is a Mason?” and then asked why you became a Mason? More importantly, have you ever asked yourself these same questions and deeply thought about them? 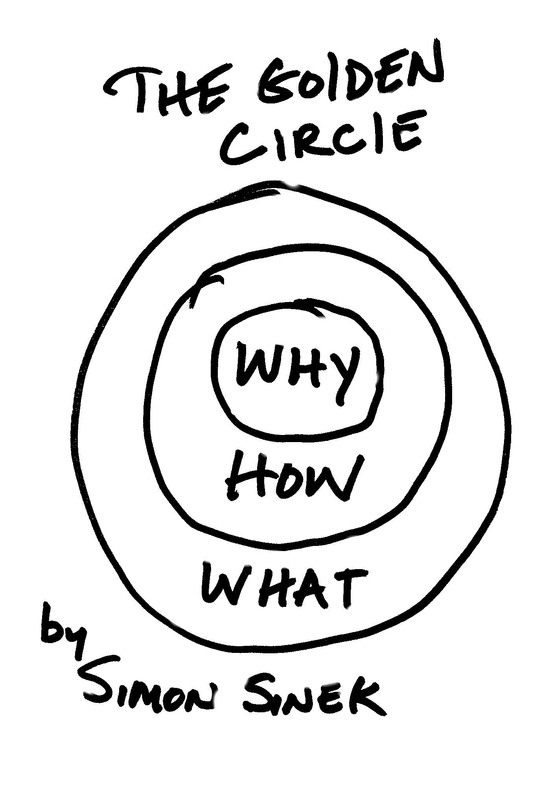 The premise Simon Sinek outlines in his book uses a concept he calls the Golden Circle as depicted in the graphic on the left. The outside circle he labels “what. Moving inward he labels the next circle “how.” And finally the innermost circle he labels “why.” Here are his definitions of the what, how and why. What – every business, organization, and person in these organizations can explain what they do. They can describe their product or their service. How – most every organization can also tell you how they do it. Why – very few organizations can clearly articulate WHY they do WHAT they do. He explains that normally when someone is asked about their organization they respond by explaining WHAT they do. They also may throw in HOW they do it. But in most cases leave out WHY they do it. This approach he contends is not inspiring and does nothing to build a following. This concept when applied to Masonry really lit up light bulbs in my head. It caused me to ask the question “Can I explain my WHY when it relates to being a Mason?” Am I able to use my WHY to inspire other men to join? Since I clearly had never thought about it in this context I had to start understanding my WHY. I realized that discovering my WHY began a number of years ago. I had begun to write and present leadership development programs for the Masonic Fraternity and felt that they needed to tie directly into the beliefs and values taught in the three degrees. I read the ritual of all the degrees to better understand the duties I was asked to assume and the values that are the essence of Masonry. I didn’t start a journey of deep esoteric inquiry to understand what others thought about Masonry but concentrated on WHY the beliefs and values of Masonry were important to me. HOW was I going to use them in my life? ; my life right now. Each of us may have some simple statements that explain what Masons are or why we joined Masonry. “Masons make good men better,” or “My father or grandfather was a Mason;” or something else along these lines. I as well had a simple reason for joining; my father-in-law was an active Mason and Shriner and he suggested that I should be as well. But these statements do very little to inspire other men to belong. I suggest that finding your WHY in Masonry is an on-going process. One tied to understanding yourself, the ritual, the lessons and values presented in the degrees and using them to continually educate yourself as you live your life according to Masonic principles. Write your eulogy. Imagined you have died and your family and friends have gathered for your funeral. Who will be there? What would you like them to say about you? By writing your eulogy you will discover the values and behaviors you want to define you. List the values and behaviors from your eulogy and write a short paragraph explaining what each means to you. Write a paragraph about Brotherly Love, Relief and Truth. What do these basic tenets mean to you? How has your life changed because Masonry taught you about these things? When we find a reason why we want to live in this life, we realize the need to better understand this need so as we can fulfill it. Our enjoy and peace will come from doing this and masonry is that school that provides us with the lessons to understand this fully. It’s our duty to help the fulfillment of Gods plan for humanity. Nothing can be more joyous and fulfilling than to work for humanity according to the creators divine plan.